Are you an employer, who wants do team-building event for your employees, or perhaps meeting for business partners? E1GOKART is the best choice! We offer a full service for corporate events. We are arranging the journey and accommodation, attractions such as quads, wakeboarding, skiing, barbecue, tables for Black Jack, not to mention exclusive banquets. 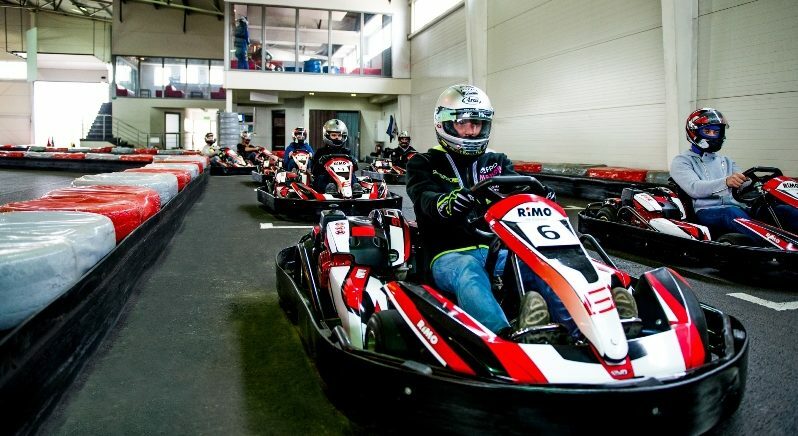 At the same time, we remember that the highlight of your stay is kart racing. Preparing the event, each time means searching for custom solutions. For your employees we also offer lectures and business seminars, that will be conducted by the best coaches in Poland. Your only task is to inform us of the date on which the event is about to take place. We are organizing Grand Prix events on our circuit – practice, qualifications and finals in a race, just like in Formula 1, but all condensed into just one event! Just give us a call and book the track to enjoy the emotions associated with driving a professional kart arena! We also have an intimate VIP ROOM. 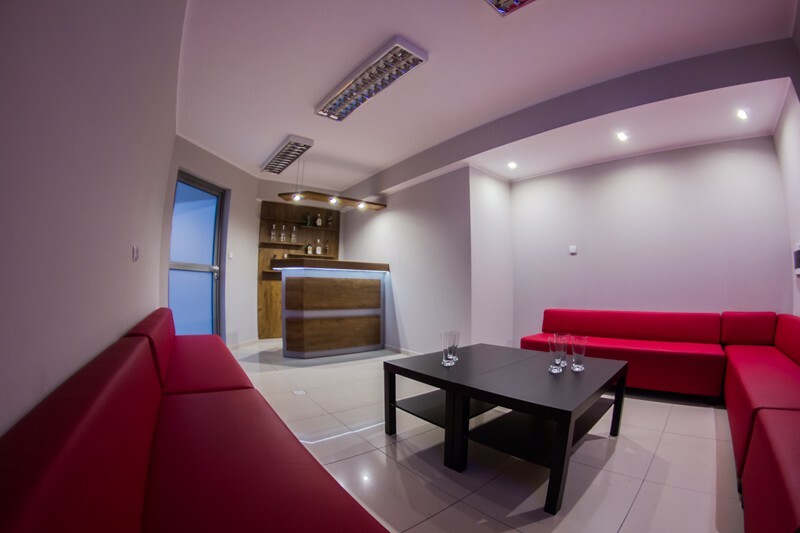 It’s modern design and minibar makes the room suitable for business meetings for a group of up to 15 people. It is equipped with an LCD TV or projector. It will be unforgettable moments for your employees and business partners! 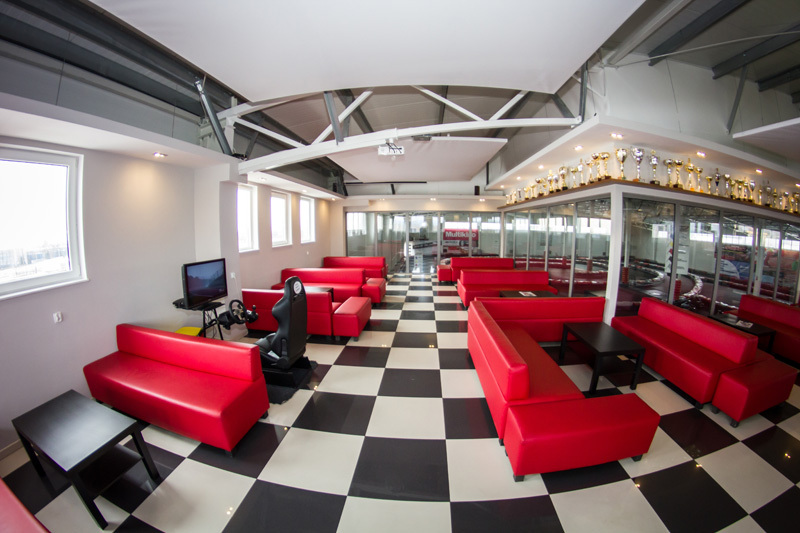 We have a comfortable cafeteria for more than 100 people, where you can relax after a race driving and recharge before the next round. Catering can also be provided by us. On request cafeteria can be put to your exclusive use! We provide free WiFi . © 2019 E1Gokart Poznań. Wszelkie prawa zastrzeżone.